Black pepper is well known as 'king of spices'. It belongs to the family of piperaceae found in tropical forests of Western Ghats in South India. 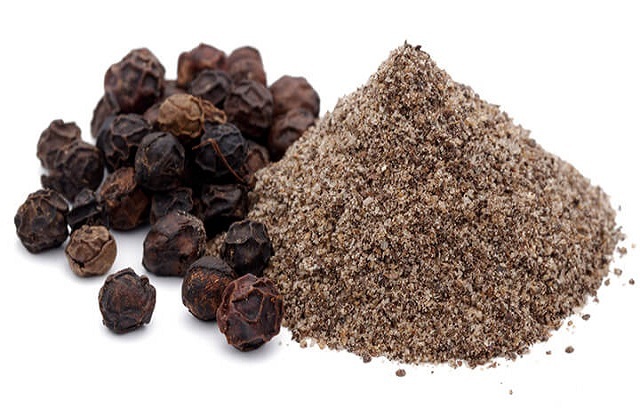 Black pepper is important well known spices produced in India and exported in gulf countries. India has account 54% of cultivated area of black pepper in the world. It is climbing evergreen plant grows up to 10 m height or more. The leaves of plant broadly lanceolate, variations also comes in leaf shapes. Flowers of black pepper are very minute. Fruit is single seeded berry which is thin and soft. Here fully grown vines are completely covers the appearance of bush. It required six months to fully mature after flowering. Pepper starts yielding at 3rd or 4th years after plantations. It vines flower in May or June. Harvesting is done from November to February. Our exclusive range of peppercorn spice is available as per there types below. 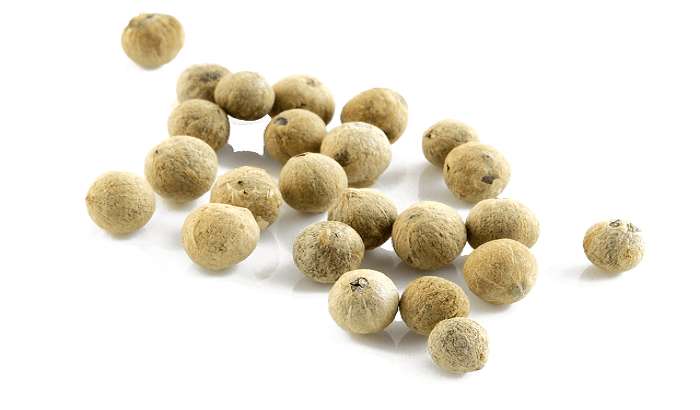 This peppercorn are demanded in food beverages and medicine. This stuff is very well known as black pepper. This are dried fruit of flowering pepper wine. Here unripe berries are harvested cooked and dried. White peppercorns begin same ways as black pepper, here fruits are soaked in water after harvesting until skin get soft’s and removed. Green peppercorn are picked usually immature and unripe. Those green peppercorn are aromatic than white or black peppercorns. Brain Chamber Technologies are renowned suppliers of black pepper in India. Our black pepper are known for its purity exotic tastes which has high demand for exports. We have own cultivated black pepper lands in under observation of distance agriculture team. Our black pepper are brought from our farms and processed. We have exclusive range of black pepper, white pepper available to exports. We Brain Chamber Technologies is renowned producers and suppliers of black pepper in India. We have our own black pepper cultivation in India.